Kushner's behavior is obviously problematic on any number of levels, not least of which is that his father-in-law, President Donald Trump, ran his campaign against Hillary Clinton almost exclusively on the charge that she'd used a private email server while she was secretary of state. Lock her up, etc. 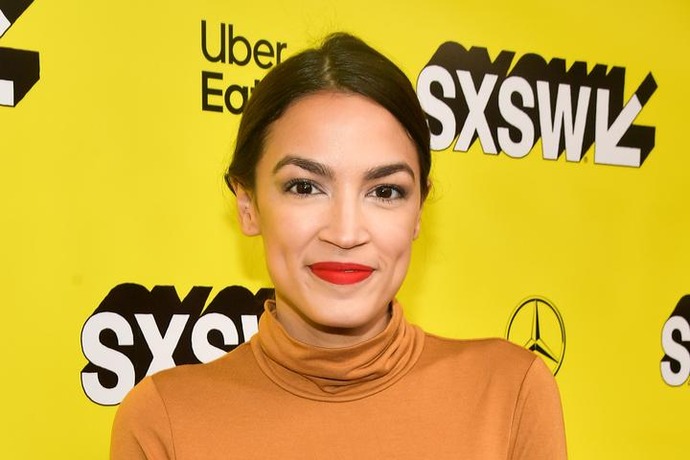 AOC's tweet was a twist on the well-worn "But her emails" meme, which pops up on political Twitter every time the Trump administration does something shady. So it was especially potent when Hillary herself replied to AOC's tweet with a succinctly satisfying, "Tell me about it." Hillary is no dummy and no doubt knew this was exactly the kind of thing that AOC's sizable social media fanbase would go wild over. And, of course, AOC had the reaction that pretty much all of us had, which was to freak out in a reply tweet to Hill. We can only hope that this exchange is the beginning of a long-lasting friendship between to the two Democratic icons - and that they exclusively communicate using the encrypted messaging app Signal so that none of us ever have to hear about it again. "Democratic socialism" turned out to be a chimera, and today's "democratic socialists," care more for socialism than democracy.